When you leave your Mac alone for a few minutes, it goes to sleep to conserve battery life. When your Mac is asleep, the Internet is disconnected. For those that want to remain connected to IRC at all times, this can be an inconvenience. The Caffeine addon can be installed to instruct your Mac not to sleep while you are connected to IRC. The Caffeine addon is designed to keep your Mac awake while the lid is open. If you want your Mac to stay awake while the lid is closed, then a dedicated solution such as NoSleep (or other) is required. 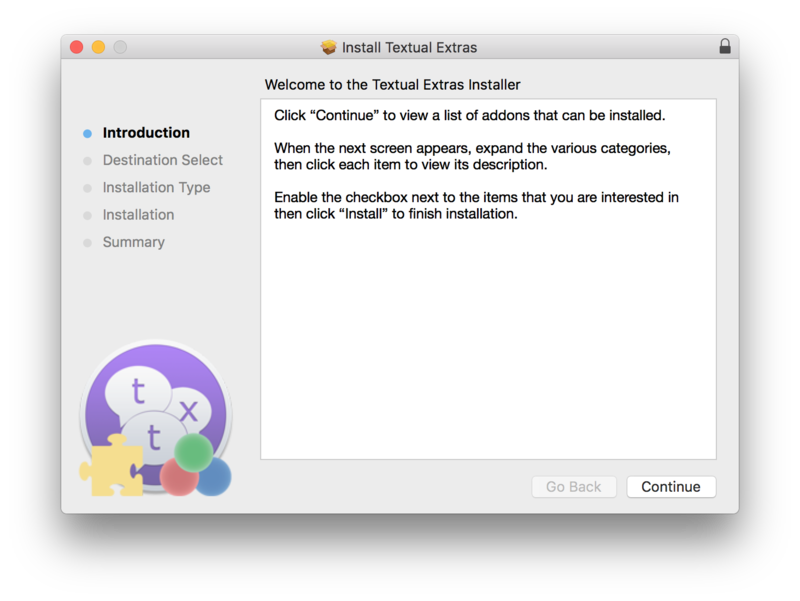 Launch the “Textual Extras” installer by entering /getscripts into the main input text field. 2. Click Continue to reveal a list of addons that can be installed. 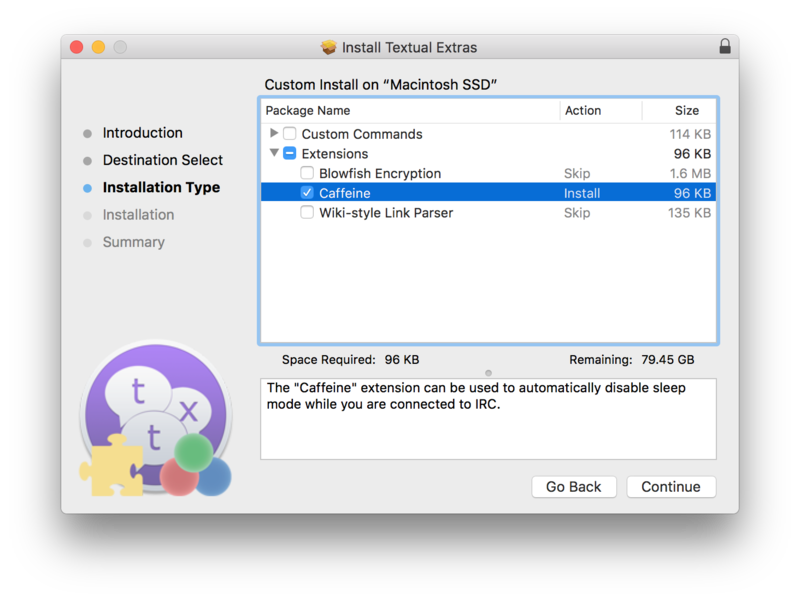 Continue through with the installation then restart Textual.